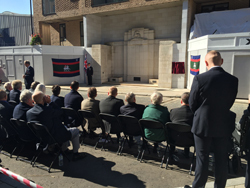 When the old military training centre, which stood in Old Jamaica Rd, was demolished, the old war memorial was carefully dismantled, stored, and then, when the new block of flats was built, it was reinstalled in its old location, ready for today’s rededication by Bishop Christopher (right). The names of 970 Bermondsey men who gave their lives in the First World War are inscribed on the monument which was first unveiled in 1921. 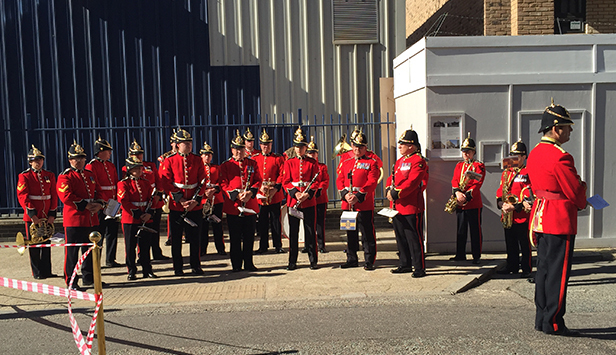 In addition, there is a separate plaque commemorating those who died in the Second World War and a third plaque, unveiled today by the Mayor of Southwark, commemorating today’s rededication of this Grade 2 Listed Monument. Next:CQC inspection: Are you aware of regulations regarding your in-house care home laundry ?